When you choose Creganna Medical for your catheter technology requirements you are partnering with the industry leading provider of outsourced design and manufacturing solutions for Minimally Invasive delivery devices. Our expertise spans from assembly and field management of finished catheter devices, volume manufacture of catheter components to design and commercialization support of next generation catheters. 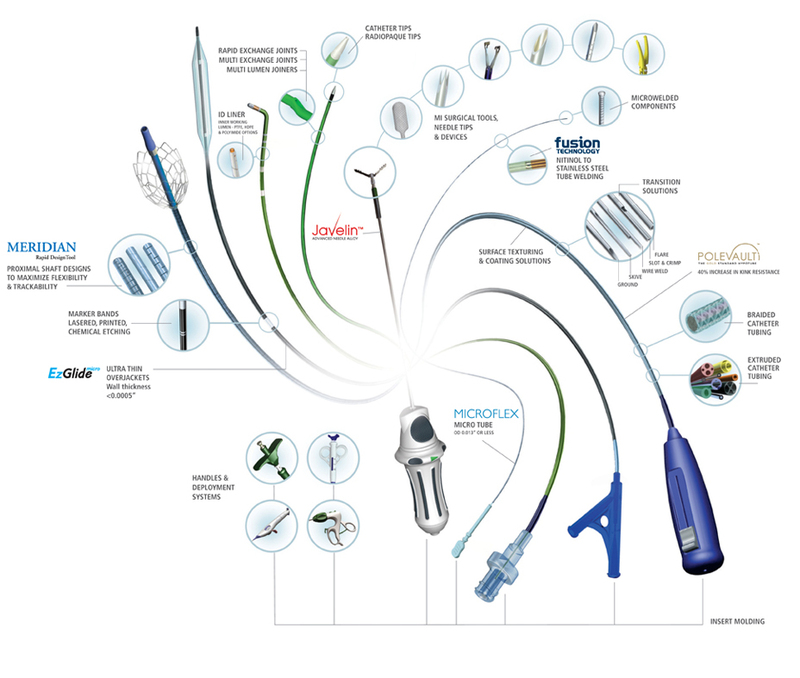 We are the catheter design & manufacturing partner of choice for the world’s leading medical device companies and are industry acknowledged as the top-ranking solution provider in a range of catheter market segments including PTCA, PTA, Neurovascular, Structural Heart, Specialty & Niche catheters – Atherectomy, CTO, Vulnerable Plaque, Thrombectomy & GI catheters. 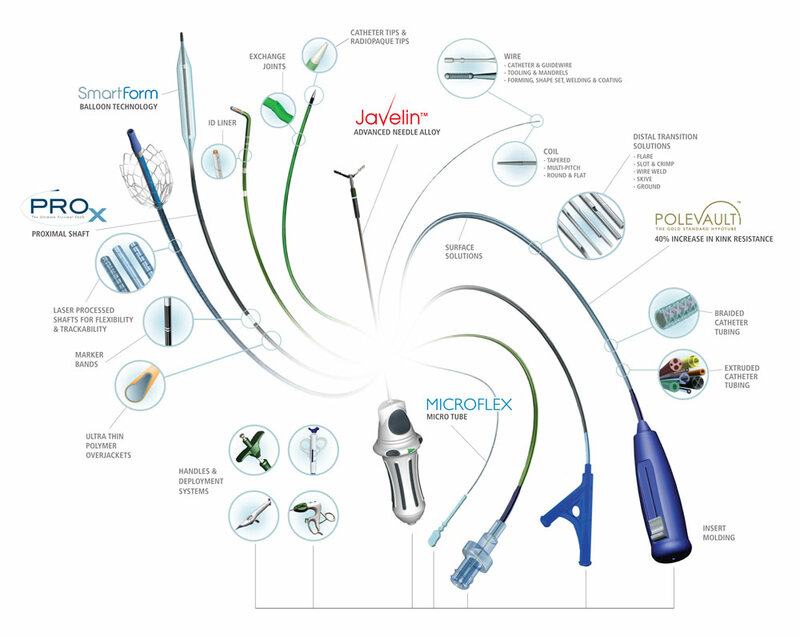 We offer a fully integrated solution and the widest range of technologies for your catheter product. Catheter Technologies – offering the most comprehensive range of catheter technologies from a global in-house supply chain Creganna Medical are market leaders in metal shafts, wire & coil, braided shafts, coiled shafts, extruded shafts, medical balloons, molding. Platform Products & Technologies – We have developed a range of platform catheter products and technologies to which you can add features and specifications to customise a device to your specific needs. Platforms range from component technologies to sub-assemblies and complete catheter devices. Platform solutions reduce your development time and cost to market. Assembly Services – turnkey assembly services and supply chain management solutions for complete catheter products are available across our global operational network.